If you’re looking to dive into the world of remote control vehicles, but don’t quite know where to begin, look no further. 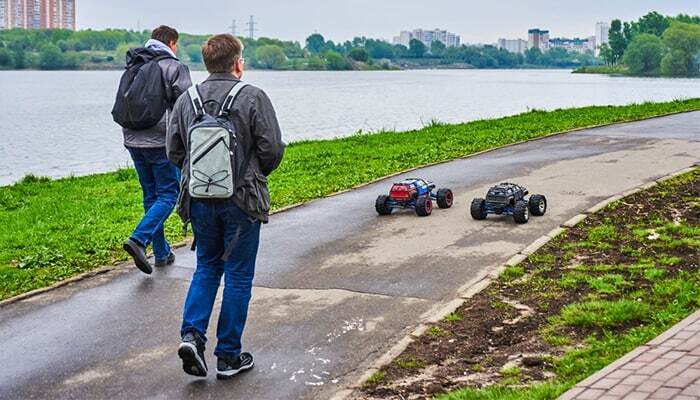 Having a whizz around the local park, building your own remote control buggy or even competing in some local races is a great way to take some time out just to play – and you can learn a huge amount as well as getting a much-needed adrenaline rush in the process! 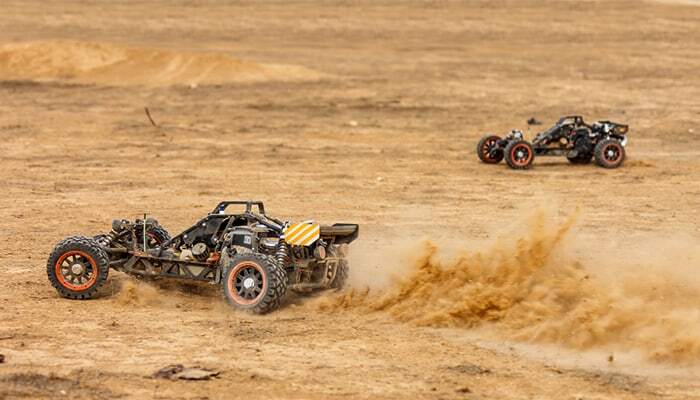 If you’re a total newbie, you may be surprised to hear that there is a large community surrounding RC vehicles. Whether that’s racing, building your own vehicles or the wealth of online forums or social media -the world of RC is a huge industry, and it’s only going to get bigger. If you’re searching for that perfect present or just need something to take you back to your childhood, we’ve got all you need to know about the world of remote control. Here’s where to begin. Well, first and foremost, because it’s fun! Contrary to belief, getting involved in RC cars is more than just racing a toy around your living room until you smash it to smithereens against the couch. There’s a lot to RC vehicles, more than most people expect! One of the best things about RC cars is that you can get as involved as you like. Fancy racing around your neighbourhood but not interested in how it all work? An electric-powered, ready-to-run sports car could be for you. On the other hand, if you’re interested in the mechanics of RC vehicles, there is a wealth of information out there and you can even purchase a build-it-yourself kit. While some people may find enjoyment in racing, others love the more technical side, or may spend hours painting their vehicle the exact way they like. When it comes to RC vehicles, there’s something for everyone. Another reason we love it is for the nostalgia. Playing outside in the park before the days of video games, iPhones and being able to get practically anything we want on-demand, was a notoriously happy time. Adulthood brings with it a whole load of daily stresses, and with that extra responsibility it can be difficult to switch off. Having a hobby like RCs lets you take a couple of hours just to play, to be a kid again and forget about the stress of the day. Even better if you can get a group of friends or a family member involved! Ready to give it a go? Head out and choose the fastest and biggest RC car you can get your mits on, right? Well, not quite. Choosing an RC is a surprisingly big decision, thanks to the huge array of options in terms of design, speed, size and durability. Everyone will have a different opinion on which brand is best , while we encourage checking reviews and listening to recommendations, the first step should always be deciding what you yourself want from your RC car. The Model – Car, Truck or Buggy? Well, the first step is to decide what model to go for. The three main and most popular models are car, truck and buggy, each with their own list of pros and cons. Speedy, and spectacularly impressive, RC cars generally reach speeds of up to 40mph, although some will go double this. RC cars can be drift, rally, or on-road cars, so it’s worth considering where you will be using it the most. Cars are great for racing on hard, flat surfaces, but not made for serious, off-road adventures. If you want something that can climb mountains, race around deserts and cross rivers (ok, not that last one), then check out my guide to the best RC trucks. The two most common types are monster trucks and stadium trucks, the best choice for you will differ depending on what you want to do with it. Monster trucks are the best if you want to get stuck into some off-road. They are heavy duty, durable and powerful -great for getting covered in mud or bashing into (preferably non-breakable) things. Stadium trucks are usually two-wheel drive, making them stable and tough. As their name suggests, they are generally used for racing indoors or in stadium, and not, as is the case with monster trucks, on long, outdoor courses. The tyres and suspension components stick out from the body of the truck a lot more, making them fun, stable and speedy. RC buggies are a great all-rounder, perfect if you’re not sure what you will enjoy best. They are good on-road, as they can be fast in the right hands. They also have good off-road capabilities. Their long shock absorbers mean they can tackle uneven surfaces and dirt piles, and they’re also ideal for loose surfaces such as grass or gravel. These are the most popular choice of RC vehicle, and are usually electrically powered, making them great for beginners. For those of you not in the know, the way that RCs are sized can seem a little confusing. 1/16th, 1/10th, 1/8th and 1/5th may mean nothing to you now, but our quick guide will soon have you up to speed. RC cars come in many different scales such as the ones we just mentioned. Mini RC vehicles can come in smaller sizes, such as 1/28th or 1/64th. Well, the scale is the size of the RC relative to a full-size vehicle, this means that two vehicles of scale 1/16th could still differ in size from one another – for example if one is a sports car and the other is a truck. This is because a full-size sports car is smaller than a full-size truck. In terms of the actual size, 1/5th is the largest and 1/16th the smallest (excluding the mini RCs). The most common scale is a 1/10th, which is what we’d recommend for your first car. This is because with such a common size there will be a wealth of options available when it comes to upgrading your motor, engine or other parts. A vehicle of this size will also not take up too much space, unlike one at a 1/5th scale which, depending on the vehicle it is modelled on, can measure up to three feet in length! 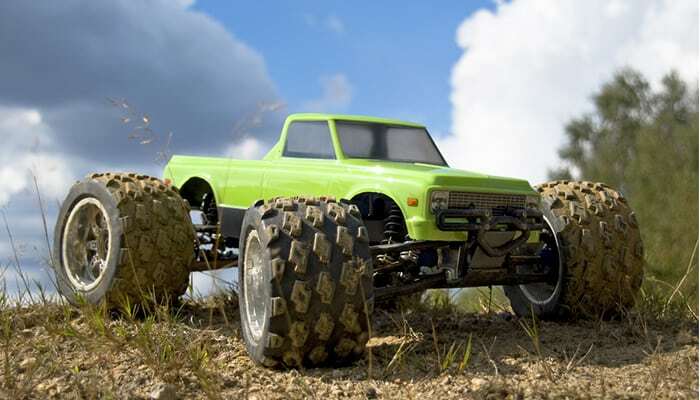 If you’re eager to get going, there’s nothing more exciting than opening a ready-to-run RC car or truck. These will be completely assembled, and require very little work on your part. When purchasing, ensure that you don’t need to buy anything else separately, some may require batteries for example. Ready-to-run vehicles can help teach you the mechanics (through maintenance and fixes) without the stress of needing to assemble it yourself. A perfect option if you want to dive in without the fuss. There are a few variations however. Some vehicles will be labelled ARR which means Almost Ready to Run. This pretty much means what it says! While most of the vehicle will be assembled, it may need to be painted or perhaps need a separate battery pack. If you fancy putting your DIY hat on and getting stuck into the mechanics of RC vehicles, you might be tempted by the idea of a build-it-yourself kit. These kits will have the majority of equipment included, although they often require a few separate pieces – for example the radio system, servo, speed control, motor and battery. Building your own RC car, although highly rewarding, is not the easiest of jobs. However, you’ll be able to get stuck into the true nitty gritty of RC life, and we guarantee you will learn a huge amount from it. If you’re vehicle breaks, you will be more knowledgeable when it comes to fixing it as you have built it yourself, and you can also unleash your creative side, painting the body of the vehicle any way you wish. Plus, that sense of satisfaction knowing that you have created something that (hopefully!) works, is second to none. Clearly the cost of the RC car will be a big consideration. It’s important to remember that if something seems too good to be true, it probably is. While cheaper models may be more tempting, especially as a beginner, it’s possible you will spend more money long term maintaining it or purchasing broken parts. Having said that, try not to go too overboard, especially if you’re unsure if RC life is the hobby for you. Durable and decent RC cars can be found without selling off any body parts, you will just need to shop around. With an array of brands to choose from, deciding which one to go for can be a little overwhelming. Here’s our favourites to help you out. Durable, fast and high quality, if you’ve got the money to spend, TRAXXAS vehicles should be your go-to. Models start at about $300 and rarely include a battery pack, however we doubt you’ll spend too much money replacing parts, as TRAXXAS vehicles tend to be very durable. Exceed vehicles are a lot cheaper than TRAXXAS, although unfortunately you will pay for their bargain prices down the line. Vehicles start at $90 and although are an okay quality, have nothing on the quality of TRAXXAS. A great option for beginners who are just dipping their toe into the world of RC cars, but if you’re serious about the hobby and want something that will last, you might want to look elsewhere. The most popular RC car company, Tamiya are a reliable choice, with vehicles to suit anyone from a total beginner to a seasoned RC pilot. Tamiya have been making RC cars for over 30 years, so it’s safe to say they know what they’re doing! Cars start at around $200 and the quality is generally great. There are two ways you’re RC car may be powered, and that is by either electric or gas. It’s worth deciding before you shop which power source you’re going for. If you’re a beginner, we would recommend purchasing an electric powered RC car for your first model. These are cheaper, easier to maintain and a lot quieter than their gas-powered counterparts (meaning your loved ones might be a little more supportive of your new hobby!). There’s also no need to break them in, which you will need to do with a gas-powered model. They come ready to use – no gas or oil needed. In fact, the most effort you will need to put in is charging the battery. For those of you who are a little impatient and want to get started straight away -electric-powered models are a great choice. On the other hand, electric-powered vehicles aren’t quite as powerful as RCs which use gas. However, that’s not to say they can’t be nifty. Electric powered cars generally send the power to the wheels faster than gas, meaning they can be quicker off the start line. 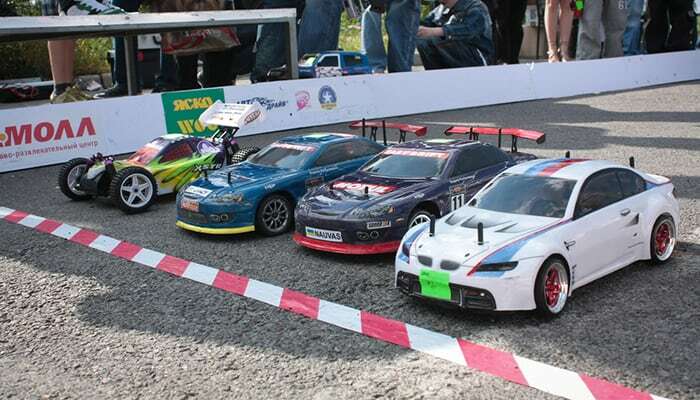 Most RC cars are powered by Nitro Fuel which is readily available and inexpensive. Nitro Fuel powered cars are fast, powerful and noisy – great for you but perhaps not so great from the neighbours! If you’re on a budget, a gas-powered car may not be the one for you. They are generally heavier, meaning easy to break and more money spent on maintenance. They also require fuel which, although inexpensive, will add up. Gas leaks and spills are commonplace, and they also need to be ‘broken in’ before they can be properly used, which involves running it around at a slow pace for a few tanks of fuel – which we can assure you, gets boring very quickly! Overall, we’re huge fans of the gas-powered cars. There’s something so satisfying about the noise and weight. However, if you’re a beginner and after something that doesn’t break as easily and generally costs less, an electric-powered RC car should be your go-to. Without getting too technical, there are two types of motor you can choose from. While many cars come with the motor already built in, if you are planning on taking your new hobby seriously, it’s worth arming yourself with some motor knowledge. Brushed motors are best for beginners. This is because brushed motors use ‘brushes’ to convert electricity into motion. This makes them slightly less powerful than the brushless motor, but they still have more than enough power for a beginner, and at a much cheaper price. Brushless motors are technically much more efficient, as less energy is lost through friction. This means the vehicle travels faster and with more power than those with brushed motors, however you will pay a lot more for these vehicles. These motors are slightly more durable, as there are no brushes to wear out. Brushless car manufacturers will also assume that someone using a brushless motor is more experienced, which can mean the cars are harder for beginners to drive – they may have more complicated steering, responsiveness or suspension. ECSs control how fast the motors run. A brushed motor will require a brushed ESC while a brushless motor requires a, you guessed it, brushless ESC. While many RC vehicles will come with the motor and ESC included, if you’re planning on building your own it’s worth making sure you purchase the right ESC! Brushless ESCs are generally more advanced, with features such as anti-lock braking and signal loss protection. For this reason, they are predominantly suited to those who know what they’re doing! Two-wheel drive vehicles offer some major advantages. They are generally cheaper than 4WD models, they are easier to build and maintain and, although they move a little slower, they don’t break quite as easily. They are slightly harder to drive than 4WD models, which will give you a sense of accomplishment once you have mastered it! These are usually picked up once people have mastered the 2WD. These are more stable with excellent road grip, although they are more aggressive in driving style. This can give an ‘out of control’ feeling that many RC pilots love. 4WD are also more powerful, requiring less precision and control but perhaps giving slightly more of a thrill! The majority of vehicles will come with their own battery, in which case this section won’t really apply to you. However, if you’re building-your-own or simply want to know a little more about the mechanics of your vehicle, here’s your battery options. LiPo batteries are the best bet, although they are slightly more expensive. These are the latest technology, lasting longer and providing more power than the Ni-Mh batteries. Without getting too deep into the nitty gritty, LiPo batteries are made of multiple LiPo cells with each one producing 3.7 volts of power. This makes them a powerful, albeit slightly expensive, battery choice. LiPo batteries must also be stored and charged in a LiPo safe bag. Ni-Mh batteries are easier to use. They need to be fully empty before charging and need to be charged fully before storing, unlike LiPo batteries which need to be stored with a 50-70% charge level. Ni-Mh are a safe choice for beginners, they are cheaper to manufacture and are the same battery type as many home appliances and devices. However, they are not quite as powerful as the LiPo batteries, with the cells producing 1.2V of power. They are also heavier than LiPo batteries. RC batteries aren’t your standard AAs that you pop in your TV remote when it stops working. These batteries require care and caution. Be careful not to damage or drop your RC batteries as this can cause a short circuit. Both batteries should be disposed of properly as hazardous waste. If you feel like taking your hobby to the next level and you’ve got a competitive streak, why not get involved in some races? Throughout both the US and UK (and indeed, worldwide), there is no shortage of places to race and practise on a track. These race tracks are hugely popular and it’s a great way to meet new people with a similar interest. Contests are held throughout the year, and winners usually receive cash prizes. If you’re lucky enough to compete or win at an international race, you will receive bigger prices thanks to the wealth of sponsors. Finding a track near you is the best place to start when it comes to diving into the world of racing. RC Signup is a great place to start. RC pilots can explore different races, tracks around them and across both Canada and Europe, an events calendar, and even a garage sale if you’re in need of some extra pieces but don’t want to fork out on something brand new. Racing isn’t for everyone, but there’s still a fun way for you to show off your vehicle! Going to a RC show allows you to show off your hard work and interact with other RC enthusiasts! Perhaps you’ve spent a huge deal of time painting your RC vehicle, or you’re super proud that you managed to create one from scratch? Showing enables you to meet others and showcase your hard work, without the stress (although perhaps without the adrenaline rush!) of racing. Pretty much anything that isn’t racing or showing is referred to as ‘bashing’, whether that’s reaching full speed in your local park or having a practise in the back garden. It does not, contrary to popular belief, require bashing into everything in sight! 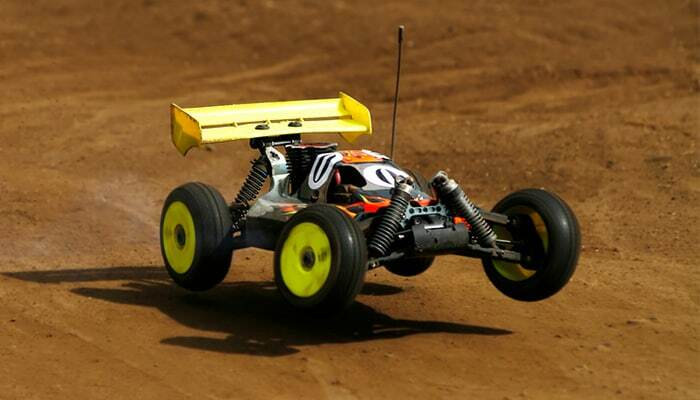 Many people who get involved in RC cars don’t want to race – especially at national or club level and that is fine! Set up 10 plastic pins in your garden and use rocks or string to create a makeshift alley. If you don’t have plastic pins feel free to use water bottles, milk jugs or tins with a little sand in them. Get a group of RC friends over and have a game of bowling! Drive your car as fast as you can down the lane and try to knock as many pins as you can – without turning. To make it more challenging try adding a ramp in the middle of the lane. Use your RC to push the ball and try to get it into the goal! Other players can tackle you and use cones to set up a goal and pitch. Feeling a little creative? Grab some big sheets of paper, as well as some cheap paint. For this, it’s best to use old tyres on your RC (unless you really don’t care about the mess in which case, go ahead). Paint one or more of the tyres and enlist a judge to come up with a list of things for you and your friends to paint. Whoever’s painting the judge hails the best, wins! Convinced? We’re not quite done. Here’s some parting wisdom before we leave you to go on your merry way and join the RC club. Ensuring you keep your RC clean will mean you can spot any problems early. While cleaning the car, keep an eye out for anything that looks a little off. Use a natural hair bristle brush to remove dust and dirt, using motor spray to remove marks. These can both be purchased at most hardware stores. Your RC Will Break Eventually! No matter how much you spend on a top-quality RC car, the day will finally come when something breaks. There is very little you can do to stop this from happening, other than perhaps wrapping it up in cotton wool (not advised). So, be prepared to need to spend money down the line to replace various parts. However, to stop this from happening, do try to buy from a reputable brand like the ones listed in this guide. We recommend buying spare tires and some CA glue as a first precaution. There’s a fantastic online community in the world of RC owning and racing. From social media RC to online forums filled with hints and tips on what to do if you’re RC vehicle breaks, you don’t have to be meeting people face to face to get involved with the community. 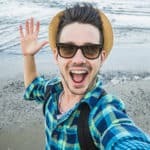 RC Car Tips – Your go-to place for knowledge, pictures, reviews and videos on everything RC related including a whole bunch of frequently asked questions. RC Universe – A fantastic forum with answers on everything from batteries and chargers, to control lines, to product reviews and unusual RC vehicles. Virtually any question you have about RC vehicles can be answered here! Hobbytron – Get shopping! Hobbytron is a great place to start with a huge variety of trucks, cars, buggies and different parts. RC Groups – Another great place to get hints, tips, advice and second hand gear. You may think this guide is hugely in-depth and complicated, but in reality, we have hardly scratched the surface of RC vehicles! There is still so much more to be said about RC vehicles – the learning really never stops! If you’re a total beginner, we recommend getting stuck into some online forums first. Use this guide to help you purchase your first car, and remember to ask questions if you are struggling with anything. We’re sure you will find the RC community a friendly and helpful bunch, and the hobby itself rewarding, educational and most importantly, a lot of fun! Hey I’m Clive! Thanks for checking out my guide to RC Cars! I’m a bit of a big kid at heart, so if you’re anything like me and you love reliving your childhood, this is the hobby for you! 10 Best RC Tanks That Are Realistic & Fun! 17 Best Nitro Gas Powered RC Cars & Trucks That Are Fast & Furious! 6 Sure-Fire Ways to Make your RC Car Faster! 8 Best RC Drift Cars to Burn Serious Rubber!